Once people found out that I was making cakes, I started getting a lot of requests. I found that my favorite decorating technique was Cornelli Lace. Cornelli lace is more or less just making squiggly lines that don't touch or cross over each other. 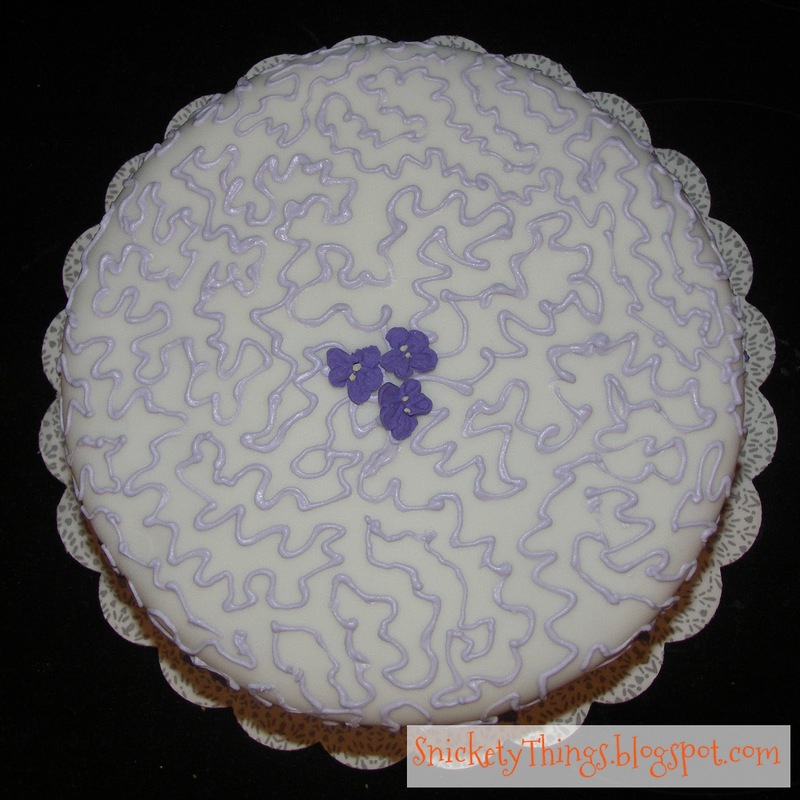 I bet you didn't know squiggly was a technical term did you? Now you do. 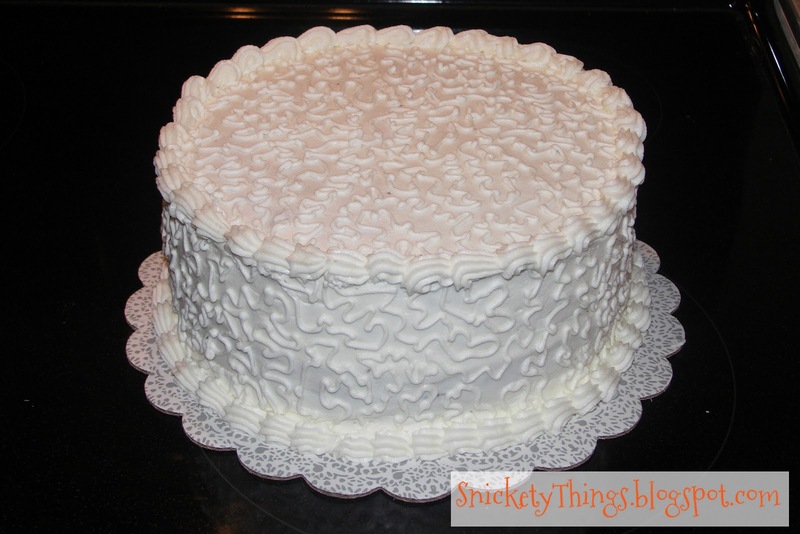 Here are a few of the Cornelli Lace cakes I've done. First was a cake I made just for the fun of it. I wanted to practice my technique. I was asked to bring a dessert to a potluck style dinner so of course I decided on a cake. Again, I practiced my lace patterns but decided on flowers as a topper. My neighbor asked me if I could make her a birthday cake. Her only requests were that it use the color violet and use fondant. 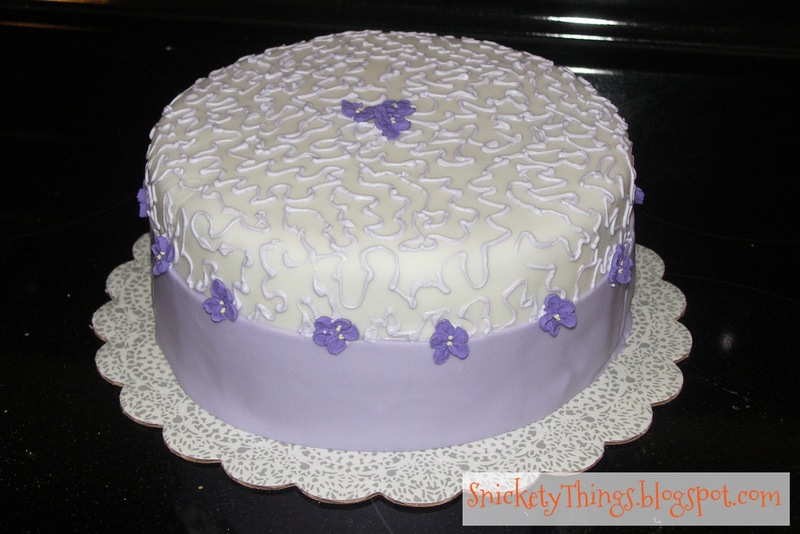 I took it one step farther and put actual violets on the cake with the lace. I had been practicing making these violets in royal icing for a cake I was going to do later in the month and I had plenty. She loved it and I was just thrilled that my first fondant cake wasn't a disaster. Those violets were for this cake. 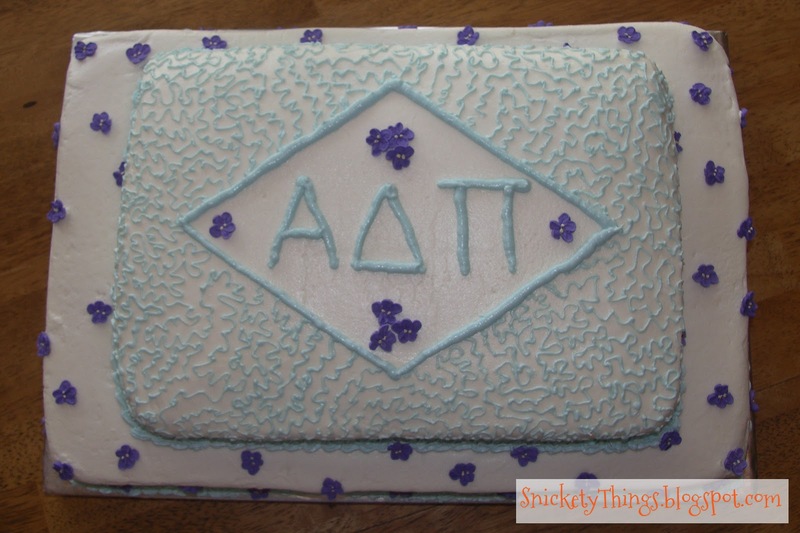 This was for an Alpha Delta Pi bid day party. 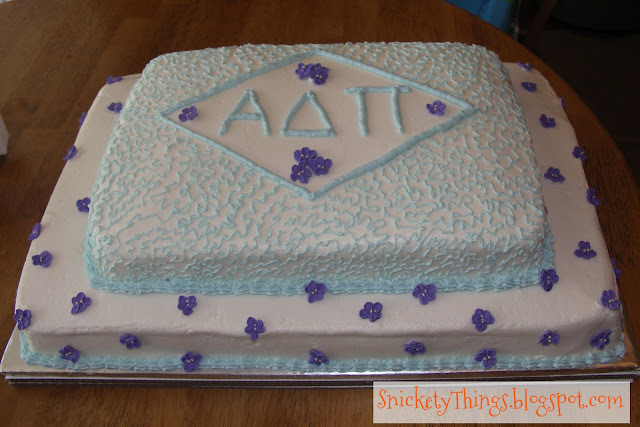 I tried to incorporate the color of the sorority (azure), their flower (violets) and their symbol (diamond). This was also when I first learned how heavy a big cake can be. 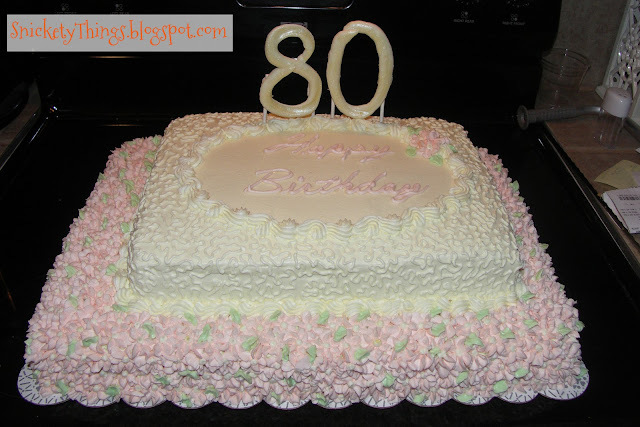 A friend saw this photo and wanted to get a cake for her mother's 80th birthday. I decided on combining the flowers and lace again. The 80 is made from Wilton's candy melts and brushed with some luster dust to make it really shine. They are attached to candy sticks. 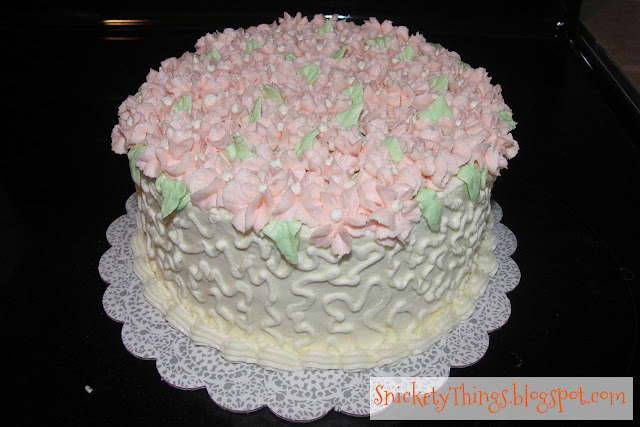 Although the birthday girl really loved it, I was a little disappointed that I could not get the top cake centered. I work a little harder on making sure everything is centered now.